There are many types of whitening treatments offered by Smile Stylists. 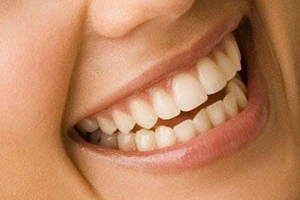 Many of our patients have come to our dental offices having already tried teeth whitening. Feeling like the treatment did not work, they are looking for other solutions to whiten their teeth. Not all dental whitening treatments are the same. There are many factors to consider when gel whitening teeth, such as the type of whitening gel, the desensitizers, the strength of the gel, the contact time, the freshness of the gels, the fit of the trays and even what time of day the whitening trays are worn. While over-the-counter whitening options exist, they could be a good touch up system, but professional strength whitening options have the power to whiten truly discolored and stained teeth and can even improve the color of teeth with tetracycline staining. When you go to the dentist, you want to have options that include the best professional whitening available and have that system customized for your goals. A regular dentists does not usually have all the options available and may only suggest the option that they keep in the office. Smile Stylists are prepared to offer patients the best whitening treatments available. While they are not the type of treatments are that typically offered as “Free” incentives to become a patient with a dental practice, they are very conservative and cost effective options to improve smiles. Smile Stylist can offer the best and safest dental whitening options to their patients and customize treatments for each individual’s goals.